Successfully saved Curried Quinoa Chickpea Burgers to your Calendar. You can also save the ingredients to your Grocery List. 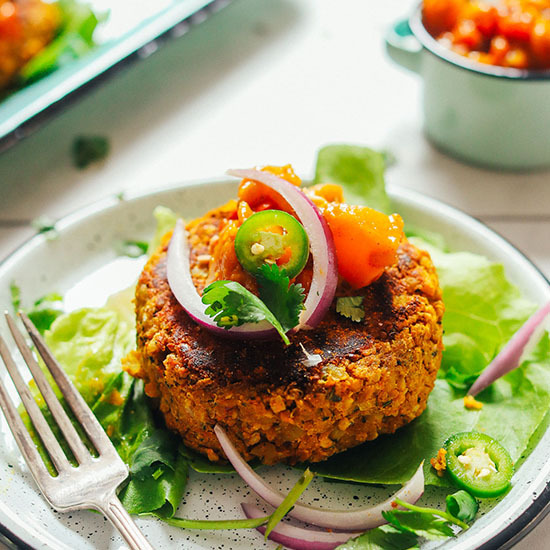 Easy to make, perfectly tender, 10-ingredient chickpea burgers infused with big flavor. The perfect plant-based, gluten-free entrée for Indian night!